As reported earlier on cochlear implant HELP, MED-EL announces FDA approval of rechargeable batteries for the SONNET processor, and also approval of the Mini Battery Pack for SONNET. The rechargeable batteries will be available in a standard size with up to 10 hours of listening, or micro size, battery life not reported. The rechargeable batteries are compatible with WaterWear. The Mini Battery Pack will house a single AAA battery in an off-ear configuration, with up to 37 hours of battery life. MED-EL announced that WaterWear covers for the OPUS 2 and SONNET processors will be available late summer 2016 in the United States. Note that Zinc-Air batteries do not work in an airtight environment, so most likely 675 LR44 button cells will need to be used in conjunction with WaterWear. In related news, MED-EL also received FDA approval for a rechargeable battery for the SONNET processor, which may work in conjunction with the WaterWear, making 675 LR44 batteries unnecessary. Also, a Mini Battery Pack and Cable have been approved for the SONNET, which may be an off-ear power solution unrelated to WaterWear. 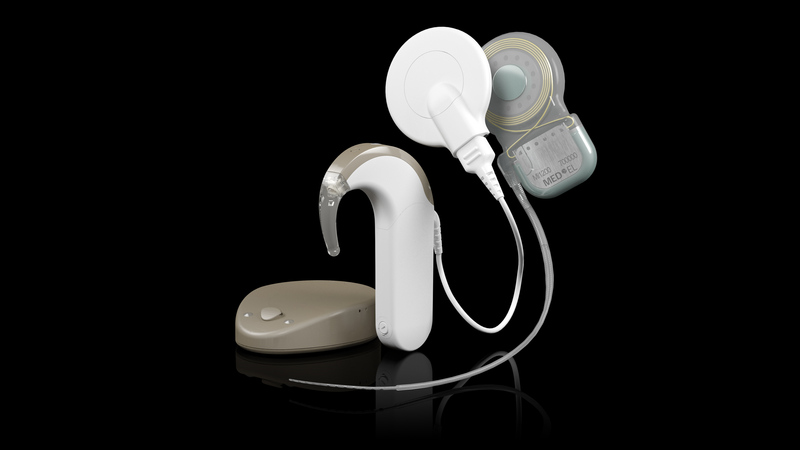 MED-EL has received FDA approval for the latest generation BTE cochlear implant processor – the SONNET. The processor will be available in the spring of 2015. The processor has one battery option – two zinc-air cells, providing up to 60 hours of battery life. The battery cover accepts 3-pin FM connectors, and also features a direct audio input port. In addition to a built-in telecoil, a 2.4GHz radio is included for future connectivity options. SONNET is water-resistant, with an IP54 rating. With only a zinc-air battery option available at the moment, a fully waterproof system seems like it needs to wait for a rechargeable battery option. MED-EL’s ‘2 Ways to Hear’ program offers a free RONDO processor in addition to whatever you would normally receive. The program has now been expanded to include an option for a voucher to receive a future audio processor when it becomes available. Read the press release here! From MED-EL’s international web site, the SONNET processor seems to be a likely candidate. This processor includes a 2.4GHz radio, which currently seems to be used only for remote control functions. The radio is ‘future-ready‘ so it will be able to support developments that use wireless functions. Patients who normally receive a MED-EL Cochlear Implant System with one audio processor will now be able to select an audio processor of their choice, plus either a free RONDO or a voucher for a free future audio processor. Patients who receive a two-processor MED-EL Cochlear Implant System will now be able to select two processors of their choice, plus either a free RONDO or a voucher for a free future audio processor. MED-EL announces the Sonnet BTE processor! 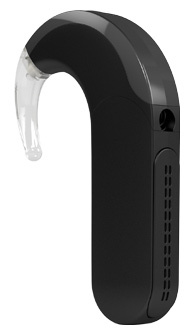 SONNET features two microphones, enabling directional hearing. New software includes wind noise reduction and automatic volume control. Learn more about the SONNET processor!